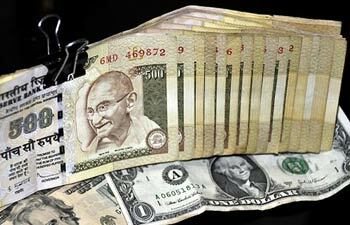 US $ 1 = ₹ 60 The limit or beginning…. I would acknowledge significant policies adopted By Mr. Nehru during his tenure in order to maintain independency of India as non-aligned country. US tried to establish its imperialism camp in India and make us ally of capitalist bloc. Save for non-aligned principle adopted by Mr. Nehru which not only kept India neutral but also made us to stand as third significant front as non aligned nation. Later India was recognized as strong power in world. US always wanted to establish its base camp in Kashmir and had always supported Pakistan with arms as well as capital for organizing militant against India to grab Kashmir. We must also know that Osama Bin Laden and his org Al kaida as well as Taliban are brain child of America against USSR and more or less India. US has always tried to destabilize India in one or other way; of which most significant one is its military support to Pakistan. With India emerging as strong power and nuclear empowered country, US had considered us a threat and had tried all the way to destabilize our sovereignty. Relation of India with disintegrated Soviet Unions was hampered just after its disintegration. It affected our economic as well as military capacity. Meanwhile US grabbed the opportunity to establish economic relation with India in the turmoil of economic instability. If we gather broad knowledge of other field we will find that it was combined strategic effort of World Bank and IMF to destroy economic system of India with providing easy loan for development sector in India. World Bank and IMF knew about corrupt practices which had engulfed Indian administration by that time. Only fraction of money was used in development sector and we were unable to payback loan. This made India obliged to follow economic policies directed by World bank and IMF. Flawed economic policy directed by them made us deficit in current account during 1991 and Dr. Manmohan Singh liberalized the economy making way for most of the US firms investing in India. If we consider and look into whole scenario it can be observed that US succeeded in what they wanted – to control India. They failed to control politically and diplomatically but economically they succeeded. With India dependent on foreign investments and Dr. Singh further opening market for foreign investors we had lost our economic independence. With one single change in policy by US senator they are capable to direct all US investors to withdraw their money from India. In lieu of smooth economic system of India US can easily blackmail India for our sovereignty, integrity and security. It was idea of Mr. Nehru to make India independent in all respect which was well relayed forward by Mrs. Gandhi and tried hard by her son Mr. Rajiv Gandhi. But their successors did mistake in handing over our market independency to foreign investors. They are still way forward even to allow foreign investment in strategic sectors.